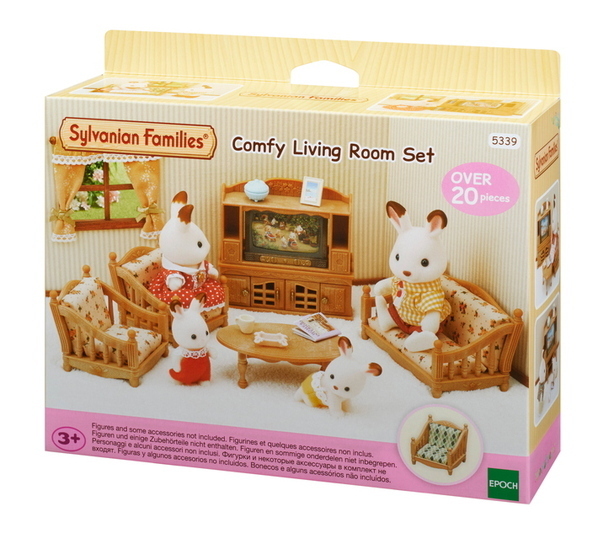 Comfy Living Room Set includes a sofa, armchairs, low table, TV and TV cabinet. 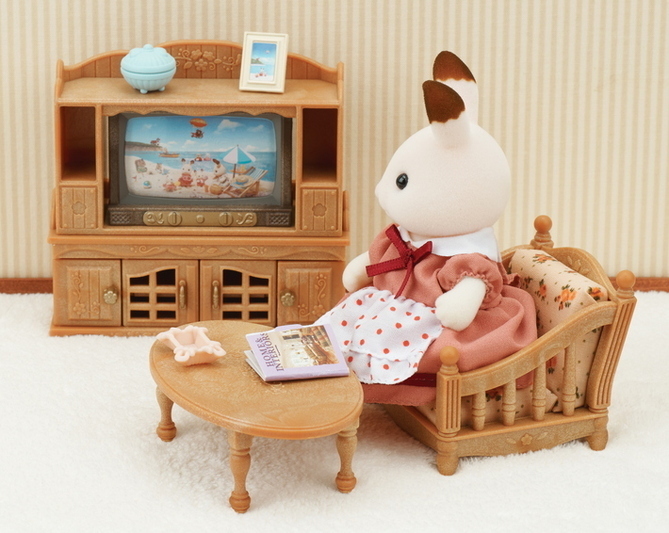 Comfy Living Room Set features picture sheets within the TV that can be taken out and replaced to change the TV picture. The included interchangeable materials for the sofa and armchairs allow for easy design changes. 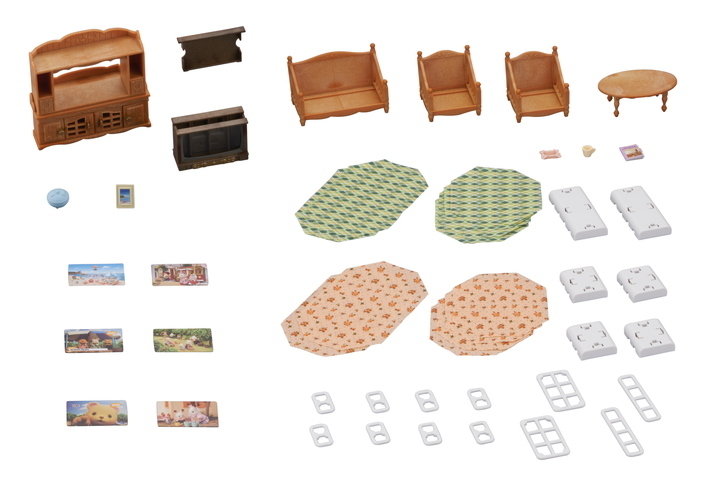 Using the unified design, combine with Comfy Living Room Set and other figures to create a fun living room scene in which the whole family can come together (sold separately). 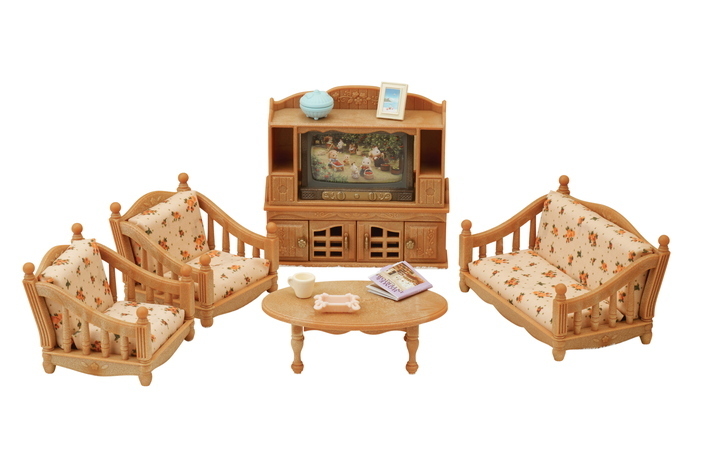 •Furniture set with accessories: sofa, armchairs, table, interchangeable material, TV, TV cabinet, photo frame, etc.